The other day I was on Pinterest looking for something good to bake. 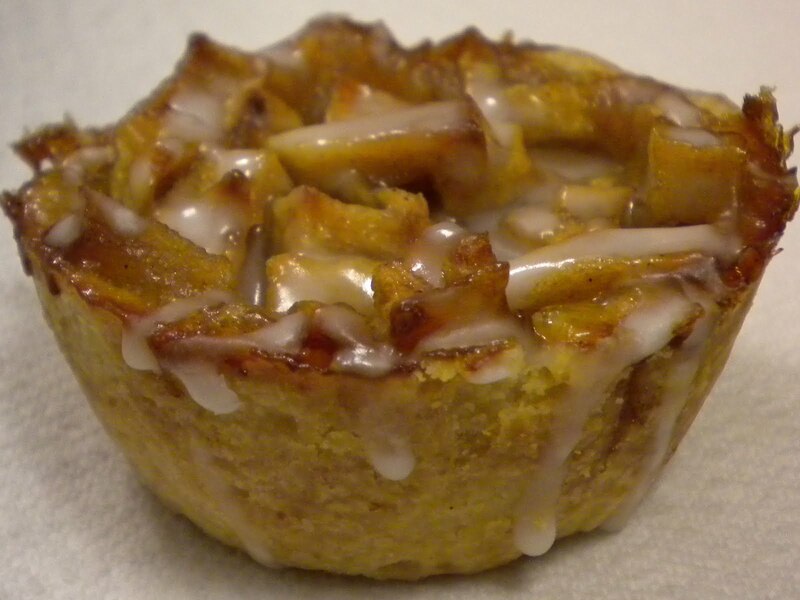 I stumbled on this picture of Apple Pie Baked in the Apple. I thought it looked amazingly good. 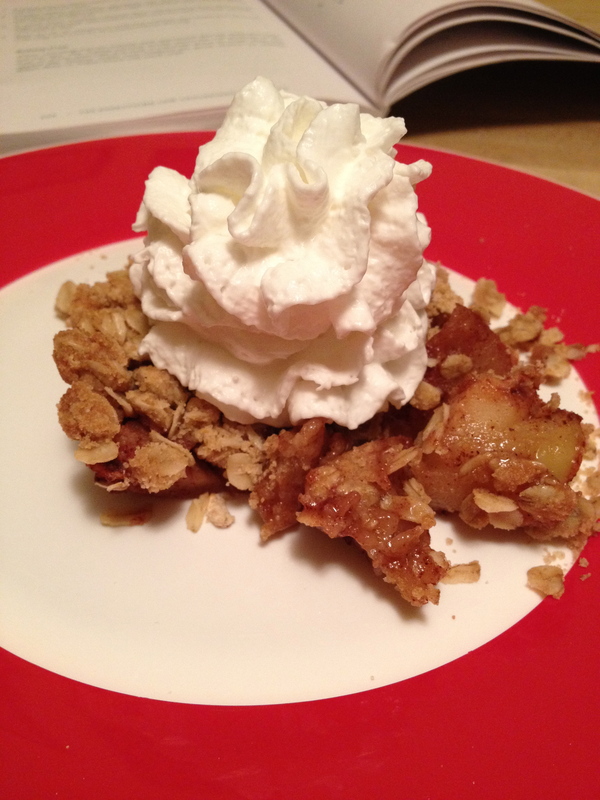 I baked this tonight and have to say that this is one of the best apple dessert I’ve had in a long time! It removed the crust except for the topping, yet it still had the best taste without it. Being baked inside of the apple was twice the surprise as eating a regular piece of pie. 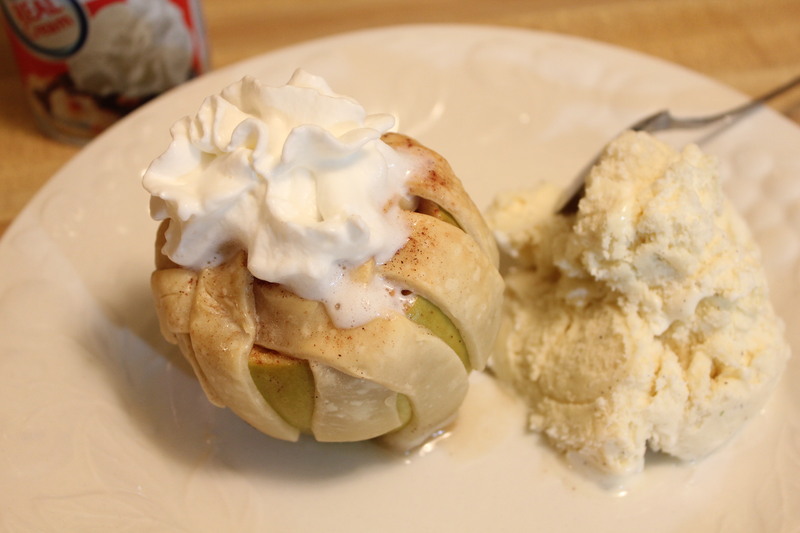 You get the sugary, cinnamon flavor of the cut up apples on the inside and the soft baked apple on the outside was soft and sweet. This is a must try for sure. Pie Crust (homemade or pre-made) I used the pre-made! Cut the top of 4 apples off and discard. 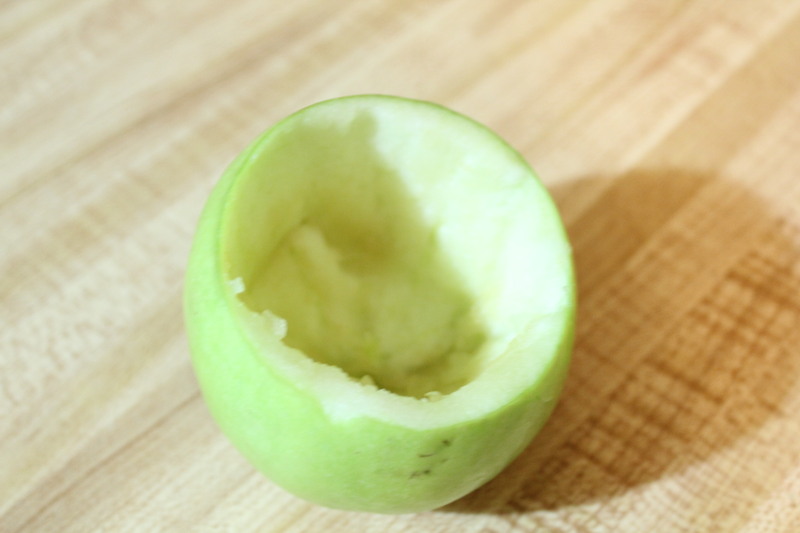 Remove the inside of each apple with a spoon or melon baller very carefully. 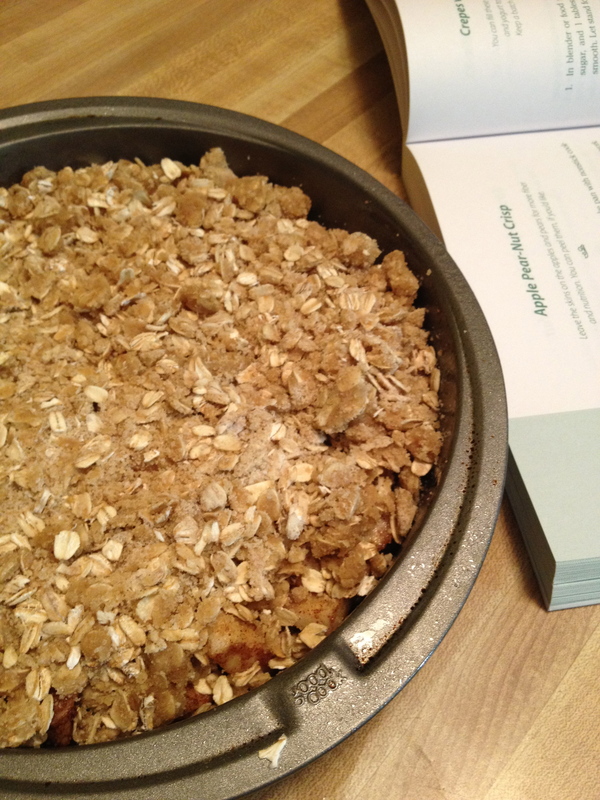 Place apples in an 8×8 pan. If your apples are big you may need a bigger pan. Add just enough water to the cover the bottom of the pan. Caleb decided he didn’t want one of these for his bedtime snack. Too bad for him because now Nana gets to have another one tomorrow!! I still can’t get over how easy this was to make and how good it was. Fantastico!! What a way to end the weekend. Have a great week. Last week I made a Braided Onion Loaf that turned out very well. I thought I’d play with the fillings on this bread a little bit to see what other kinds of bread braids I could make. Since I still have way more apples than I know what to do with I wanted to incorporate them somehow. I decided on a sweet apple cinnamon filled bread. I used the same dough as last week, but to keep it simple I’m posting that info here too. In a large mixing bowl, dissolve yeast in warm water. Add the milk, butter, egg, sugar, salt, and 2 cups flour; beat until smooth. Add enough of the remaining flour to form a soft dough. Turn onto a floured surface; knead until smooth and elastic, about 6-8 minutes. Place in a greased bowl, turning once to coat top. Cover and let rise in a warm place until doubled, about 1 hour. In a small bowl, combine the filling ingredients. Punch dough down; turn onto a lightly floured surface. Divide into thirds. Roll each portion into a rectangle about 20 in X 4 in. Roll up jelly-roll style, starting from a long side. Place ropes on a baking sheet lined with either parchment or a silicone baking mat; braid. Pinch ends to seal and tuck under. Cover and let rise until doubled, about 45 minutes. Bake at 350 for 30-35 minutes or until golden brown. Brush with melted butter/Topping above, remove from pan onto wire rack. This was much messier coming out of the oven than the onion loaf, probably because it was a much moister filling. Definitely use something to line the pan because the butter/brown sugar does leak a little around the edges and caramelize. It was also a much heavier loaf than last week’s and a little difficult to move from the pan to the rack without it separating. But, that said, this was totally worth the effort. The bread is chewy and moist with a lot of apple cinnamon flavor. 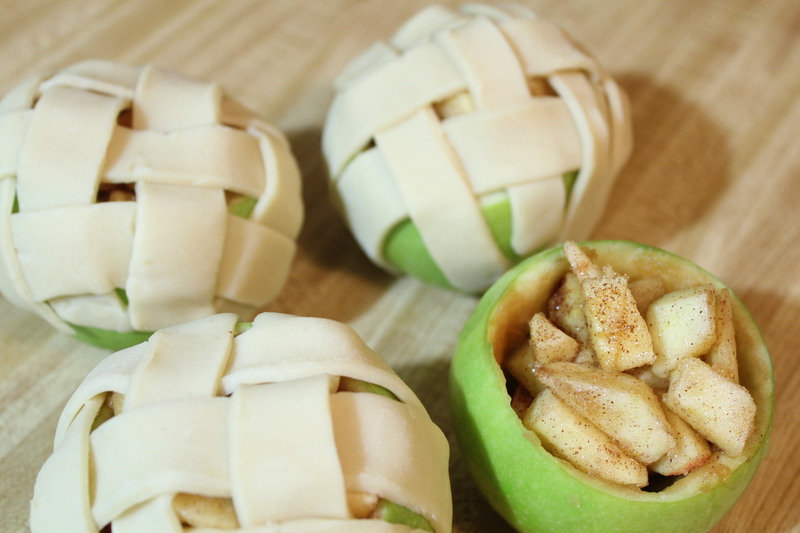 Perfect for snacking on this very chilly fall Sunday! This past weekend I went to a local orchard with my mom and sister. I came home with lots of apples, pumpkins and other little goodies. 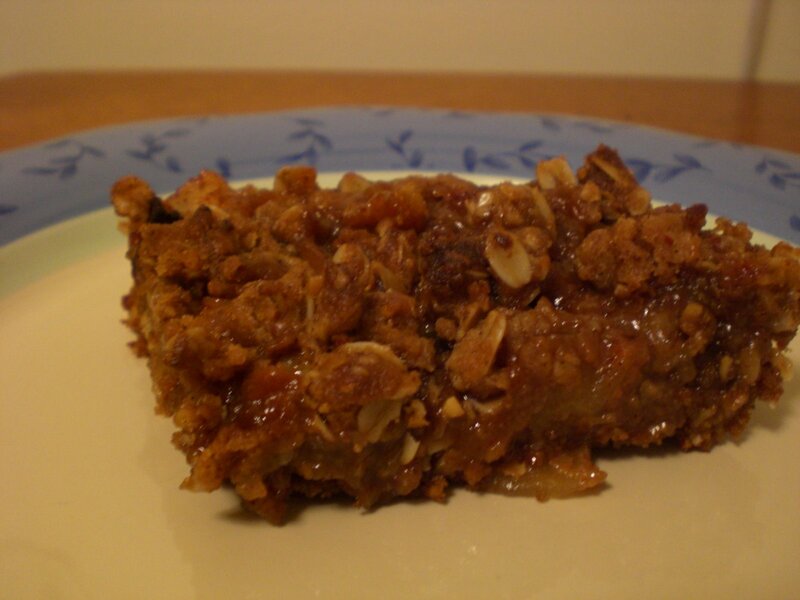 So now, of course, some apple recipes are in order! I found this one and it reminded me of the coffee cakes I used to pick up now and then at the grocery store bakery. This was my first homemade pie crust, and I think it came out great! In a food processor, place the flour, salt, and sugar and process until combined. Add the butter and process until the mixture resembles coarse meal (about 15 seconds). Pour 1/8 cup water in a slow, steady stream, through the feed tube until the dough just holds together when pinched, no more than 30 seconds. If necessary, add more water. Turn the dough onto counter and gather into a ball, then flatten into a disk, cover with plastic wrap, and refrigerate for about one hour before using. After the dough has chilled sufficiently, remove from the fridge and place it on a lightly floured surface. Roll the pastry into a 12 inch circle. 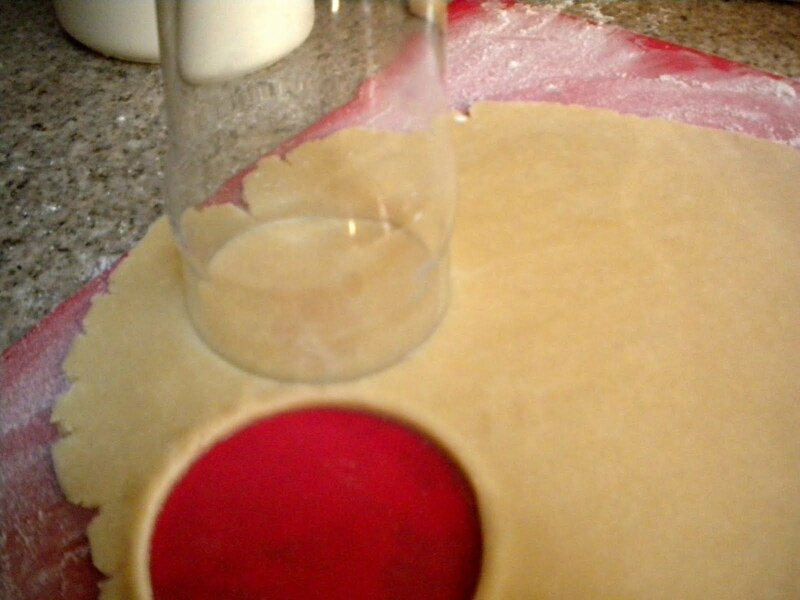 Use an over-turned glass (or any circle cutter) to cut out individual crusts, re-rolling dough scraps to use up (I ended up with 12 small circles). Heat oven to 375. Spray 12 muffin cups with cooking spray. Brush off any excess flour and press one pastry circle to fit in bottom and up sides of each muffin cup. 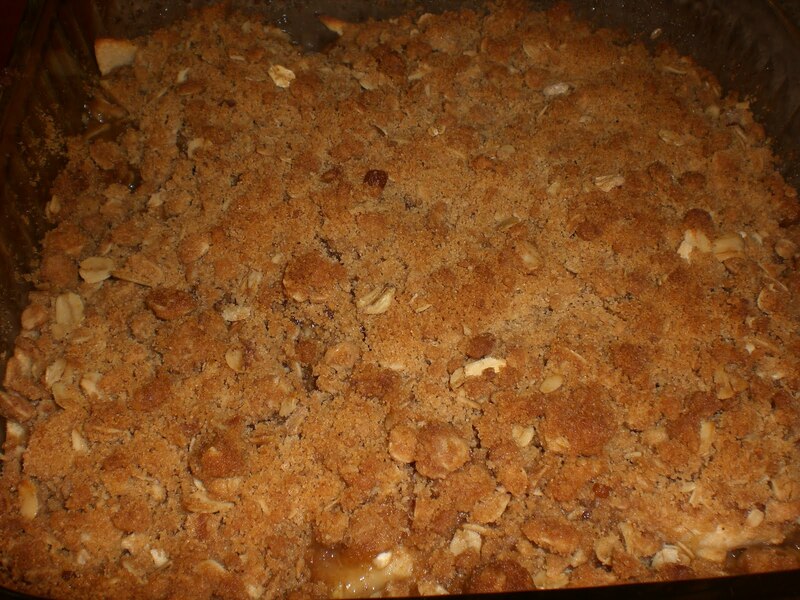 Mix apples, brown sugar, flour, lemon juice and cinnamon in a medium bowl until apples are coated. In separate bowl beat cream cheese, powdered sugar, vanilla and egg with mixer on medium speed until creamy. Spread 2-3 tsp cream mixture in each muffin cup. 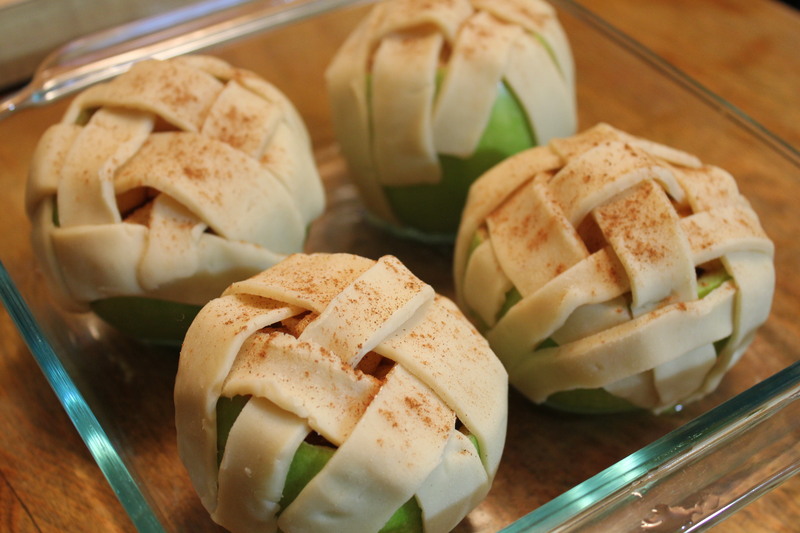 Top each with one heaping tbsp of apple mixture. Place pan on bottom rack in oven and bake 30 to 35 minutes or until filling is set and crust is light golden brown. Cool on cooling rack about 30 minutes, then refrigerate about 4 hours. Just before serving, mix 1/2 cup powdered sugar and 1 tsp milk. 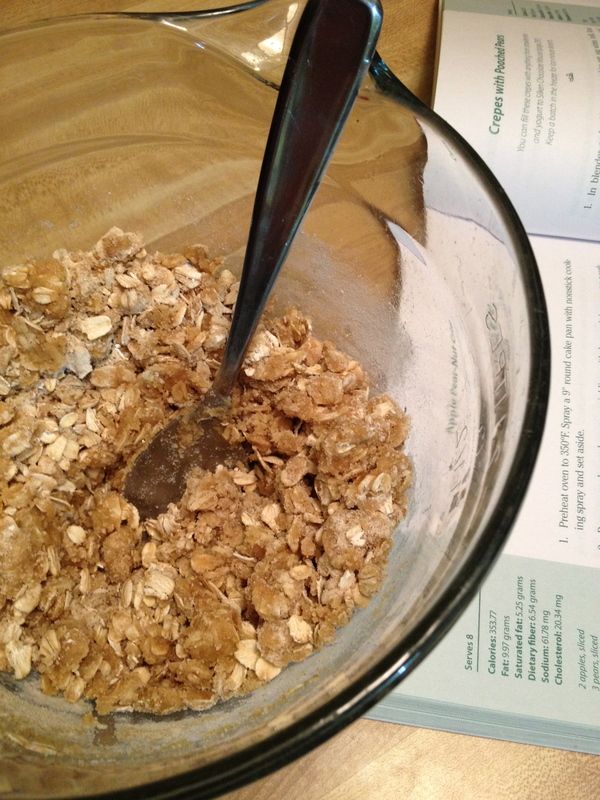 Stir in additional milk 1/2 tsp at a time until thin enough to drizzle. Drizzle glaze over tartlets. Store in refrigerator.